One thing that I have always said on social media, on podcasts and in person is that there is nothing more powerful than learning and the search for knowledge and new sources. Everyday I find myself learning something new about history, health and for our purposes my creative world. Recently, I started expanding my resources to include Skillshare. Now, I’ve actually had an account on Skillshare for probably a year or two, but I never really watched more than a couple of intro videos let alone dived into the classes. Now I find myself popping on there a couple of times a week looking for new sources of inspiration & knowledge — I’ve even found myself rewatching some classes like the one’s I’m going to be talking about below. One of the first teachers that really struck my eye was one of my favorite human beings in the world, Mr. Aaron James Draplin. If you don’t know this big teddy bear of a designer you should definitely go follow him on all facets of social media. 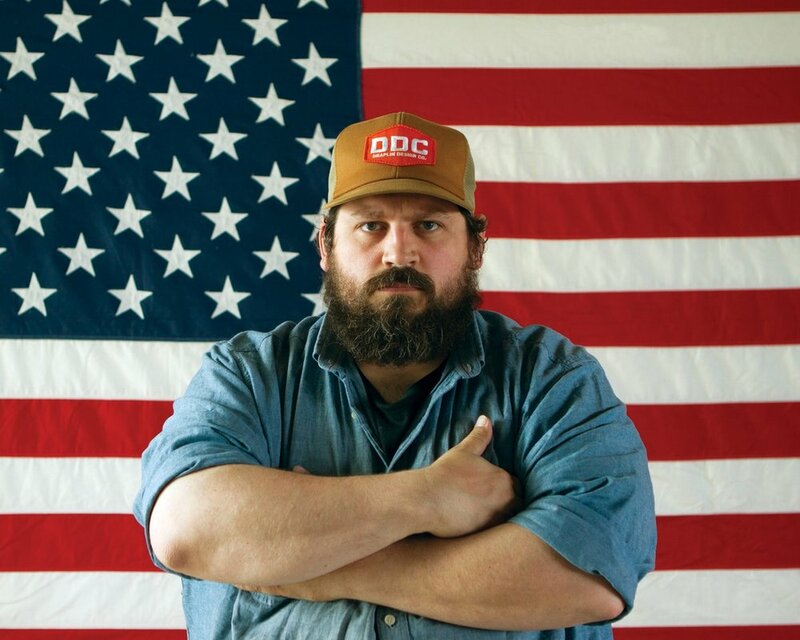 I’ve known Draplin going on 6 years now since I met him at my first creative conference, Creative South. When I saw his classes I thought I’d dive on in and check one of them out and see if I could pull a nugget or two from the stream of knowledge I knew he was about to drop in his course. Before I knew it I had watched all 4 of his classes and the Skillshare short about his book tour — more on his book and tour to come in a future PoL post! I was amazed at not only how quickly I binged watched his classes but also how much I learned. Now, I’m not a beginner when it comes to design, branding and heck even Illustrator but I found myself learning things about all three from this wizard of design. My favorite class of his was “Illustration with Draplin: Iterating w/ Shape, Style and Color” because I went into watching it thinking to myself “Ok I know how to use all three of those.” Well when it was all said and done, I ended up taking notes of certain pieces of his process I had never really thought of. The best part of this class being his iteration process in general and how he not only copies each edit but also numbers them and keeps them nice and organized. In the past, I always would separate each iteration — saving a copy of each previous iteration — but I would just cluster them around and find space here and there to the point where you couldn’t even tell where I started and finished. Now — because of his class— I’ve started numbering iterations and keeping my art boards well organized. Back in 2016, I attended my first Adobe MAX and got a chance to meet up with Draplin and sit in on his talk. While he was queuing up his montage of works he’s done over the years — check out any video of him speaking to a group of people and you’ll see what I mean — he was messing around with his files and shared a bit about how he organizes all the files on his computer. That same night I went through and edited and purged my entire dropbox the “Draplin Way” and have had it that way since. It’s my honest opinion that no matter your skill level, the type of creative you are — photographer, designer, illustrator etc. — you’ll learn a lot from this bearded grizzly bear. But don’t take my word for it, go out and check it out for yourself! Now I know that each of you reading this is at the very least intrigued to go check out Draplin’s courses and all the other ones out there on so many varying topics. Use this link here, to receive 2 free months of Skillshare on me. You can watch as many classes as you want and cancel any time. Even if you don’t take advantage of that sweet offer, please head on over to Draplin’s Instagram and give him a follow. This blog post is part of a new series I started in the fall of 2018 focusing on sharing knowledge and resources. Within these organized lists of text you’ll find some of my favorite books, podcasts, Youtube channels, Skillshare classes and more.